Today's new bird is an Old World species and the largest type of pigeon or dove found in Europe: the Common Wood Pigeon! The Common Wood Pigeon is a large species of pigeon native to parts of Europe and Asia. They are fairly common and abundant throughout their natural range. They can be found in a variety of habitats, including wild woodlands, as well as rural, suburban and urban areas. Tomorrow's new bird will be Birdorable #700! This is our all-time most requested bird ever. Can you guess what it will be? 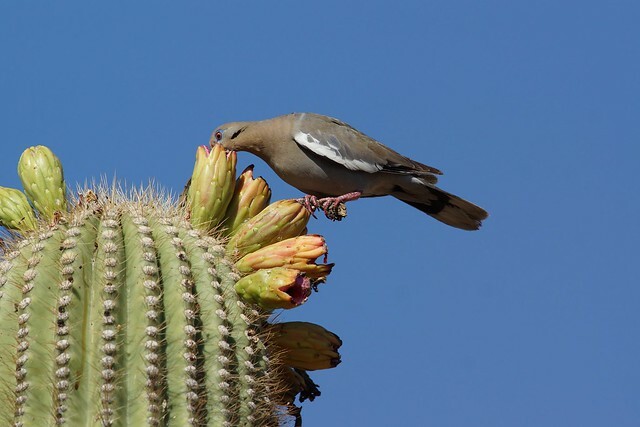 Did you know that some species of bird feed their chicks milk? It's true, but it's not the same kind of milk that mammal mothers feed their young. This baby bird food is secreted from the lining of the parent bird's crop and then regurgitated to the baby birds. It is high in protein and fat as well as other components important for their growing chicks to consume, like anti-oxidants, ("good") bacteria, and substances to improve the immune system. All species of pigeons and doves feed crop milk to their young -- for these species the substance is called pigeon milk. Flamingos also feed their young a type of milk, though production occurs in more of the upper digestive tract than just the crop. Male Emperor Penguins produce a similar substance to feed their chicks when the mother bird is away at the time of hatching. In pigeons and doves, parent birds begin to produce the milk days before their eggs hatch. The chicks, called squabs, eat only crop milk for the first week after hatching. Afterwards other foods are introduced, after being softened inside the parent bird's crop. Today marks the 100 year anniversary of the death of Martha, the last of her species, the Passenger Pigeon. With her death our planet lost another species forever to extinction. We know the exact moment that the Passenger Pigeon went extinct, because the last of the species was a known captive individual named Martha. The last known individual of a species (or sub-species) is sometimes known as an endling. Martha is not the only endling known to the world. Here are some other notable individuals that were the last of their kind. The Tasmanian Tiger was extinct in the wild by 1930. The last captive individual died at the Hobart Zoo on September 7, 1936. Since 1996, Australia has annually commemorated the date as National Threatened Species Day. 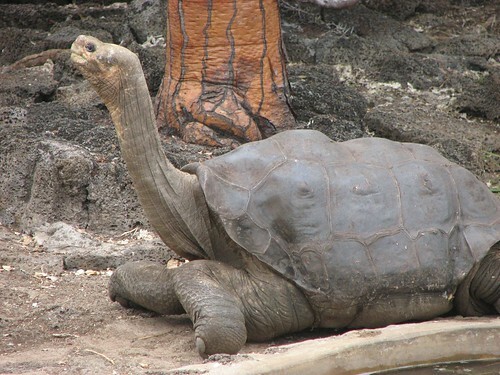 Very recently, a Pinta Island Tortoise named Lonesome George passed away on the Galapagos Islands. He was the last of his kind, a subspecies of Galápagos Tortoise. He was thought to be at least 100 years old when he passed away on June 24, 2012. The Quagga was a subspecies of the Plains Zebra that lived in South Africa. Dutch settlement of South Africa doomed the Quagga as it was in competition for food with domestic animals. The last wild Quagga died in South Africa by 1878. The last individual Quagga on earth died at the Artis Zoo in Amsterdam on August 12, 1883. The Carolina Parakeet is another species of bird that went extinct in North America in the early 1900s. The last known wild bird was killed in 1904, while the last captive individual, a male named Incas, died at the Cincinnati Zoo on February 21, 1918. Passenger Pigeons once ranged across a wide part of eastern North America. Their preferred breeding habitat was deciduous forest; winter roosting sites were either in swamps or pine forests. Here are some more interesting facts about this species. 1) When Europeans first arrived in North America, there were an estimated 3 to 6 billion Passenger Pigeons on the continent. They were certainly the most abundant bird species in North America, and possibly the entire world. 2) Passenger Pigeons could fly 50 to 60 or more miles per hour. They had very strong breast muscles and long wings for strong flying. 3) Passing flocks of Passenger Pigeons would darken the sky and take days to pass an area. 4) Passenger Pigeons were larger than the familiar Mourning Dove. From head to tail they measured 15 to 16.5 inches long and weighed 12-14 ounces. 5) Adult Passenger Pigeons pairs would raise just one chick per year. Both parents would incubate the egg and care for the growing chick. 6) Passenger Pigeon chicks were called squabs (as are other pigeon and dove babies). Fat Passenger Pigeon squabs would fall from the nest before their first flight. The baby would remain on the ground until it was able to fly, usually a few days later. 7) Passenger Pigeons nested in huge colonies, some covering up to 850 square miles or more. A single tree may have held up to 500 nests at one time. 8) Passenger Pigeons dined primarily on nuts: acorns, chestnuts, hickory nuts, and beech nuts. 9) The term "stool pigeon" originates from the culture of hunting Passenger Pigeons. A single captured pigeon would be tied to a stool and then dropped onto the ground. Pigeons flying above the unfortunate captive would take this as a sign to land in the same spot. In this way, entire flocks could be easily captured or shot. 10) After decades of decline due to both over-hunting and rapid deforestation, the last Passenger Pigeon, an individual named Martha, died at the Cincinnati Zoo on September 1, 1914. Her exact age was unknown, but she may have been as old as 29.